Many people still find it strange that you can get Botox Cosmetic procedures done at a dental clinic. But, we dentists who have gone through the training to administer Botox Cosmetic (same training as medical doctors), find it a very natural evolution of what we already do, more so than general medical doctors. Dentists know your face more intimately than and any other health professional. We have more experience and finesse giving gentle injections than any other health professional. Our eyes are trained for dealing with facial symmetry and minute fine details concerning esthetics, which makes us the most fitted providers of Botox Cosmetic. 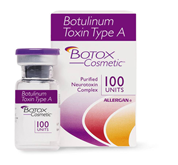 Botox Cosmetic has been proven to be a safe and very effective way to reduce facial wrinkles, for over 20 years. It works by relaxing the targeted facial muscles which cause the wrinkles to form. It is administered using a very fine needle and only minute drops are injected, which means no down time and virtually no discomfort. Within days your tired face will look relaxed and refreshed, taking years off. The effects are not permanent and will usually last 3-6 months. Dr David Huh at Four Seasons Dental Care has been providing Botox Cosmetic to his clients since 2008. He is now one of the foremost providers of Botox Cosmetic in his area, and his patients come for his expertise from all over Lower Mainland. Call us for a free consultation at 604 444 5155.